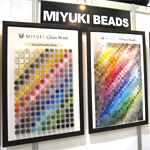 Introduce size and shape of MIYUKI seed beads. 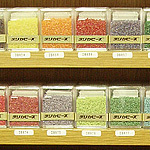 The color of MIYUKI seed beads are created by various processes. 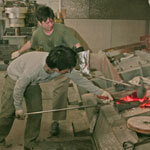 Introduce coloring processes and durability of them include color sample. 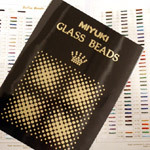 Sample cards, affixed real seed beads on, are available in almost all size and shape. Moreover, some cards are specialized in colors such as Rococo color and Matte. 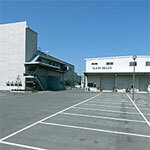 Please try our online sample cards. Introduce individual bead weight and quantity of beads per kilogram pack. 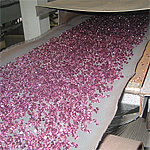 Introducing manufacturing process of seed beads from raw material to products. 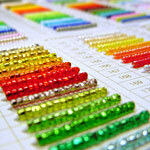 Data table of color number, color description, and durability of every Delica beads. Color conversion of Delica and Round.